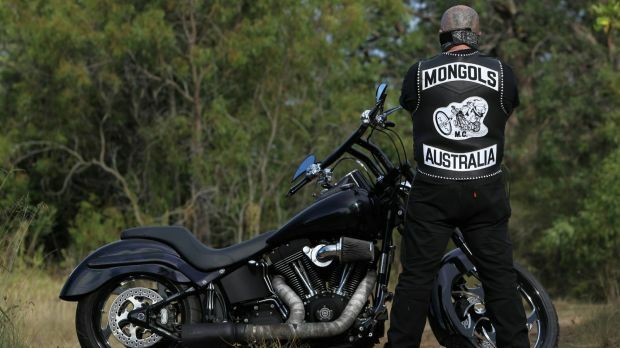 BRISBANE, AUSTRALIA (December 15, 2016) — An alleged Mongols MC club member has become the first to face a charge under the State Government's reworked anti-biker laws, for wearing gold and diamond "biker rings". 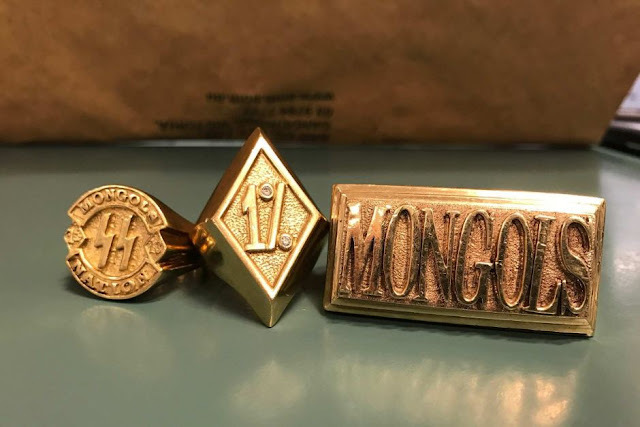 Police intercepted a four-wheel-drive at Hamilton on Brisbane's north side early this afternoon, when they say they noticed a man wearing rings inscribed with "1%" and "Mongols". 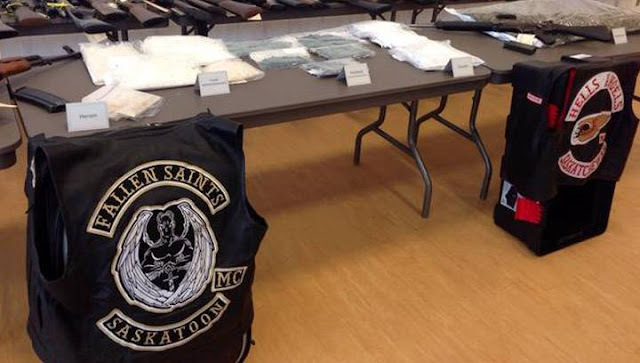 They conducted a search of the car and found a Mongols-branded vest in his luggage. The 44-year-old Brisbane man has been issued with a notice to appear in court next month for wearing a prohibited item in a public place. It is the first time a person has been charged under the new section of the Summary Offences Act 2005. Police Minister Mark Ryan said the new laws would further deter outlaw motorcycle gangs. "My message to outlaw motorcycle gangs, or any crime group, is: if you commit a crime, the police will catch you and you will suffer the full force of the law," he said. 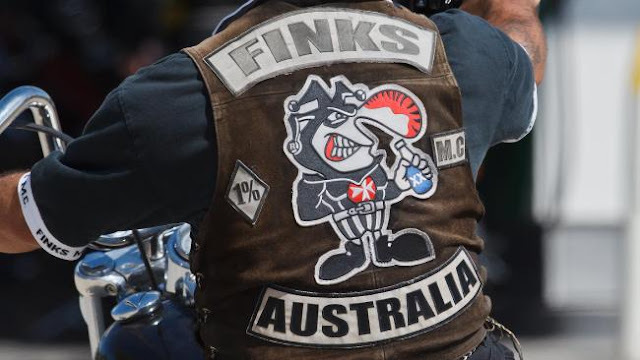 Under the laws passed by the Newman government in 2013, it was illegal to wear bikie colours in a licenced premises and criminal gang members were not allowed to congregate in a public place. 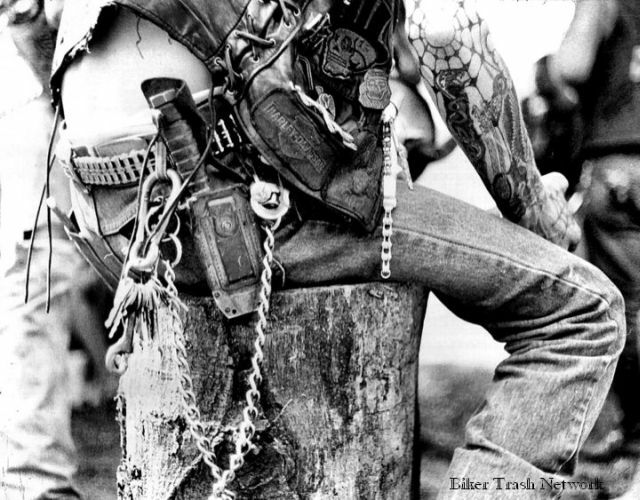 “We've seen them Outlaw Bikers riding colors with their jackets on. MARATHON, FL ( December 3, 2016)The FBI warned local law enforcement last month that Outlaw Motorcycle Clubs are increasing their presence in South Florida, especially in the Keys. And their presence has been particularly noticed at popular Motorcycle events like the Peterson Poker Run, held annually throughout the island chain in September. 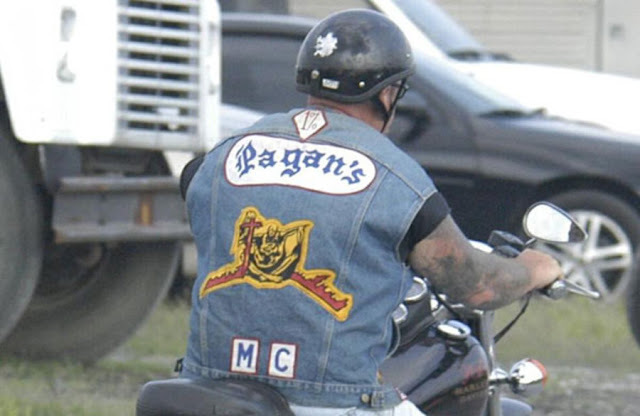 “Colors” for motorcycle clubs generally are a three-part arrangement of patches depicting the club name and its location. 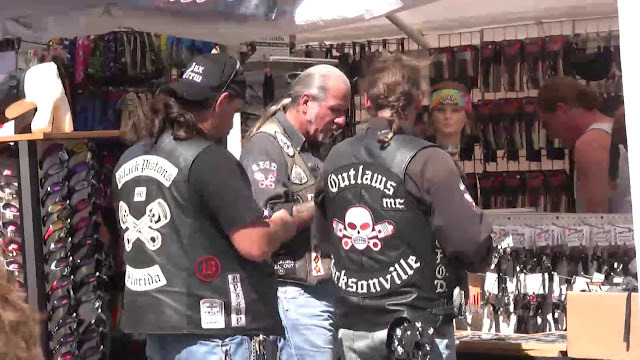 The FBI in November sent a memo to Keys law enforcement agencies stating that various Motorcycle Clubs are trying to gain territory in South Florida. 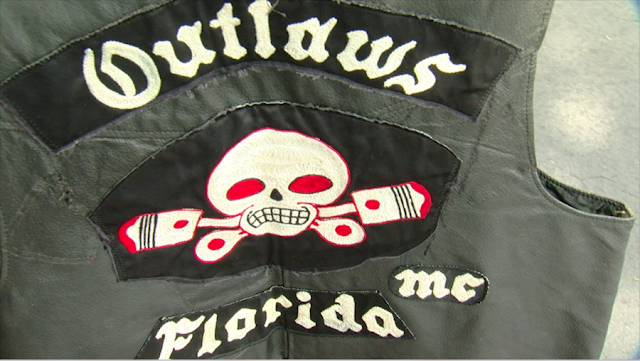 The Outlaws MC, regarded as the dominant Motorcycle Club in the region, likely would respond by making efforts to increase its presence and influence, according to the memo. “The information put out was an FYI and to be aware and mindful,” Ramsay said. Nora Scheland, an FBI spokeswoman, declined to comment on the warning. City of Key West Police Department Chief Donald J. Lee said that his department also received information about Outlaw Biker Clubs would take part in the Poker Run, but he would not elaborate on which agency shared the intelligence. “We are constantly sharing intelligence information with other law enforcement agencies, but, in the interest of public safety, do not disclose active intelligence information,” Lee said. 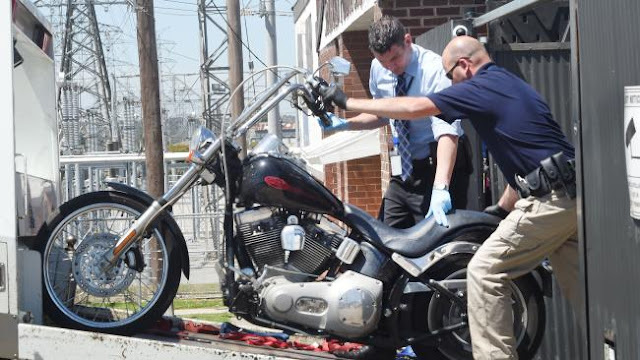 Ramsay said life for Motorcycle Club members has changed over the years. No longer are the organizations’ membership made up solely of men whose only job is in the club. Indeed, a member of the Outlaws MC involved in a barroom brawl in Key West during the Poker Run in September also is a Hillsborough County firefighter. 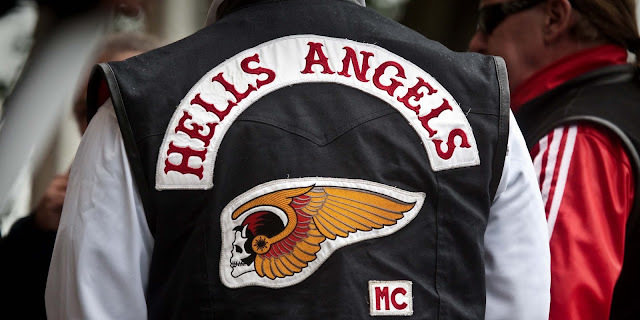 SANTA ROSA, CA ( November 29, 2016) — A Hells Angels MC member will be arraigned in Sonoma County Superior Court Wednesday afternoon for allegedly sexually assaulting a woman and threatening her husband. 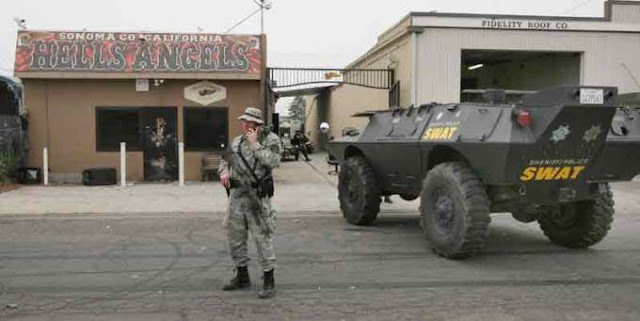 Raymond Michael Foakes, 53, of Rohnert Park, called the woman around 11 p.m. Saturday and told her to meet him at the Hells Angels clubhouse off Frazier Avenue in Santa Rosa, Sonoma County sheriff’s Sgt. 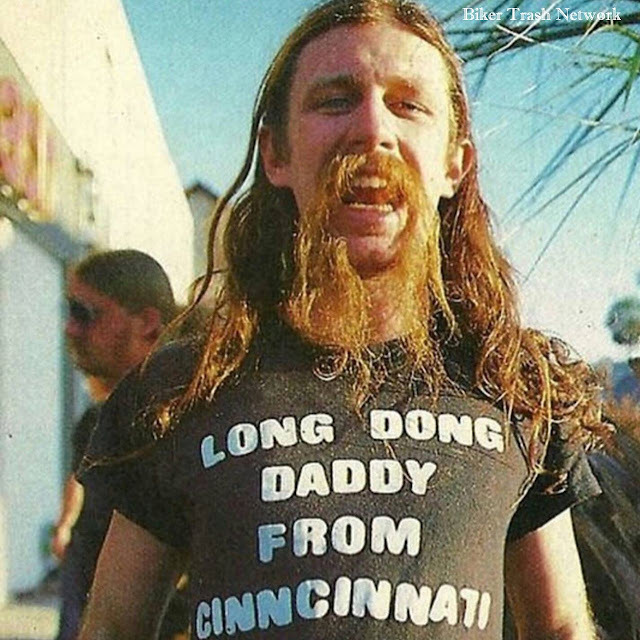 Spencer Crum said. The woman agreed and Foakes ordered her to drive them in her car to a secluded area off Bennett Valley Road, where he allegedly sexually assaulted her against her will and threatened to harm her husband if she refused, Crum said. 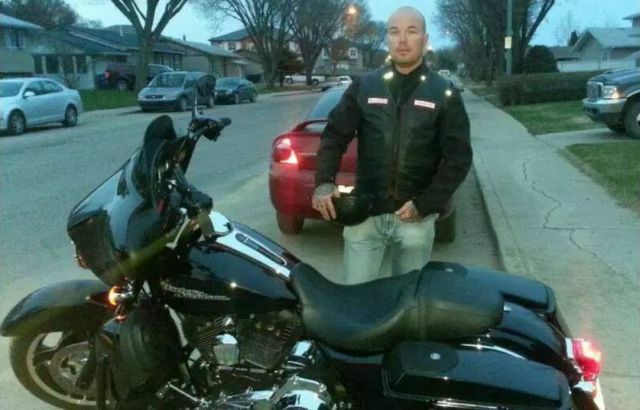 After the alleged assault, Foakes drove the woman’s car back to the Hells Angels’ clubhouse, where he got out of the car and the victim went home, Crum said. Foakes knows the woman’s husband, who also is associated with the Hells Angels, according to Crum. The woman reported the assault to the Sonoma County Sheriff’s Office, which obtained a search warrant for Foakes’ home in Rohnert Park. The sheriff’s SWAT unit went to the house around 6:30 p.m. Monday but Foakes was not home, Crum said. Foakes was later arrested at a meeting he was attending off Airway Drive in Santa Rosa, Crum said. Foakes was booked into Sonoma County Jail under $1 million bail on suspicion of sexual assault, victim intimidation, stalking and gang participation, Crum said. 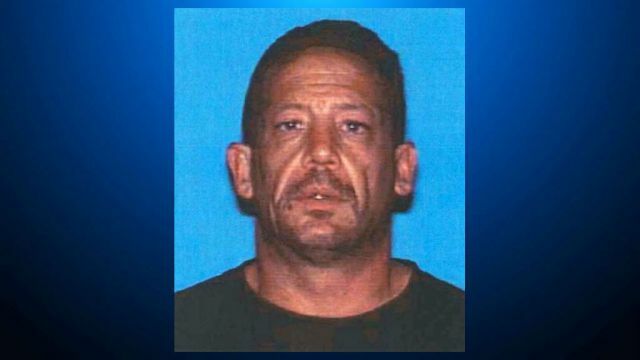 Raymond Michael Foakes, 53, a member of the Hells Angels Motorcycle Club in Santa Rosa (pictured), was arrested Monday on suspicion of sexual assault, victim intimidation, stalking and gang participation. 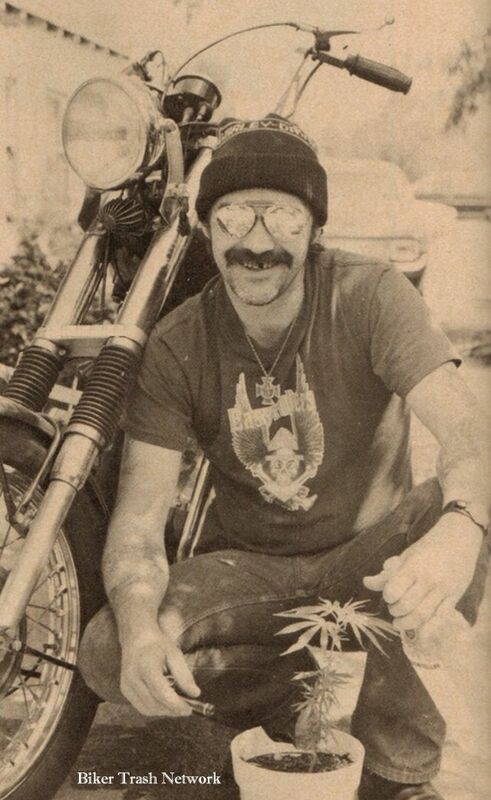 Foakes was a past president of the Sonoma County Hells Angels. He had formerly served prison sentences for a variety of offenses ranging from a 2002 brawl with a rival motorcycle club at a casino in southern Nevada in which three people died, to fraud and money laundering. CHICAGO, IL ( November 26, 2016) —That’s the motto of the Outlaws motorcycle club, formed in the Chicago area in 1935, now with chapters and thousands of members around the world. But the former Outlaws leader says the group isn’t nearly as fearsome or dominant as it used to be in Illinois. 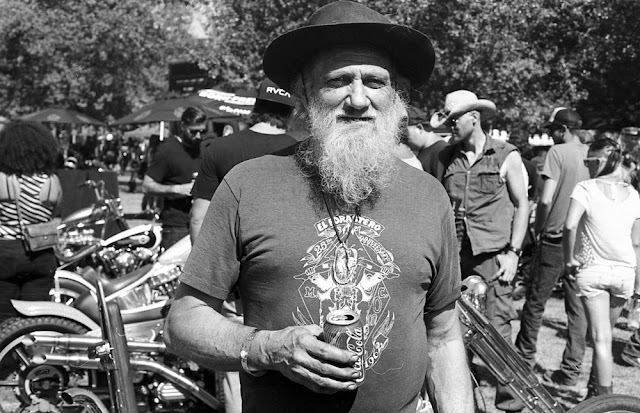 James hung up his Outlaws vest — black leather with a skull and crossed pistons patch — last year amid an internal dispute with other local leaders and his own ongoing fight with cancer. 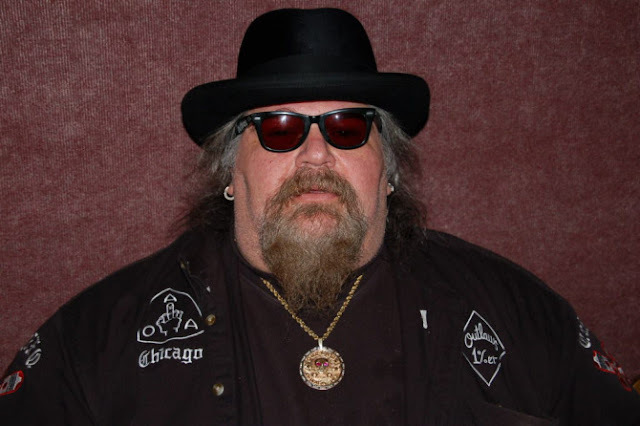 Contrary to the biker rumor mill, James isn’t returning to the fray, he told the Sun-Times. His wide-ranging interview was unusual because so-called “1-percenter” bikers generally are loath to talk publicly about their business. 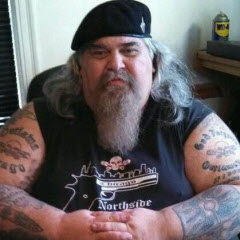 Watching from the sidelines, James says that maybe the biggest indication his old club is slipping involves the rise of the rival Hells Angels motorcycle club, which he believes is poised to overtake the Outlaws as the big-dog biker group in the Chicago area — an unthinkable development not long ago. He predicts — but insists he isn’t advocating — renewed conflict between the two groups resulting from the shifting dynamic. An attorney for the Outlaws responds only, “There wouldn’t be any comment at this time.” The Hells Angels didn’t respond to inquiries. 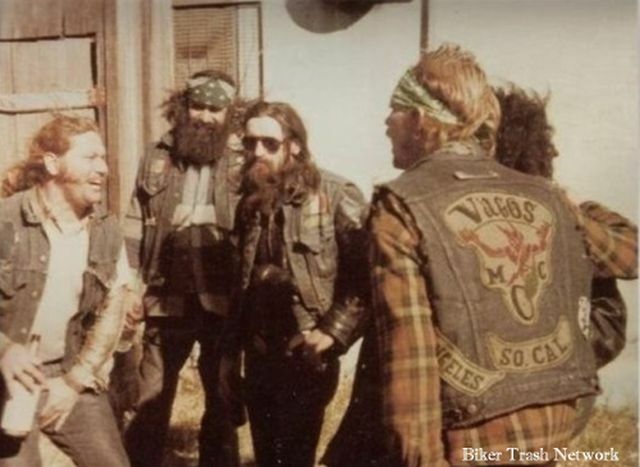 Back in the 1990s, the Outlaws and Hells Angels — both which have weathered intense federal prosecutions and allegations they’re nothing more than gangs on wheels involved in drug dealing and mayhem — were locked in “war” in Chicago, as the Hells Angels made a foray into the region, the Outlaws’ long-established turf. After a series of bombings, shootings and stabbings, the rival clubs formed a fragile truce. 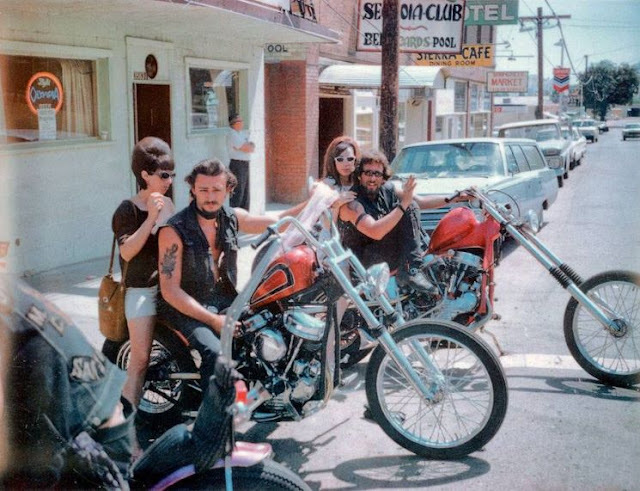 The Hells Angels, formed in 1948 in California, gave up their attempt to put a clubhouse within the Chicago city limits and, instead, planted a flag in Harvey, remaining there today. Since then, the Outlaws have maintained a stronghold in Chicago, with a South Side clubhouse at 25th and Rockwell and a North Side clubhouse on Division Street. It also has several other chapters in northern Illinois. As regional vice president, James had domain over all of them and also was president of the North Siders. In all, he says there were maybe 100 hard-core members in northern Illinois. 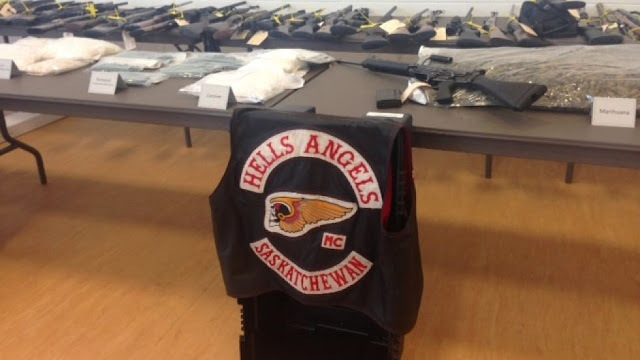 But James says smart moves by the Hells Angels — plus waves of prosecutions, poor leadership by some current Outlaws and changing times and attitudes — have changed things. For one, James says local Outlaws are less willing to take orders from the top. 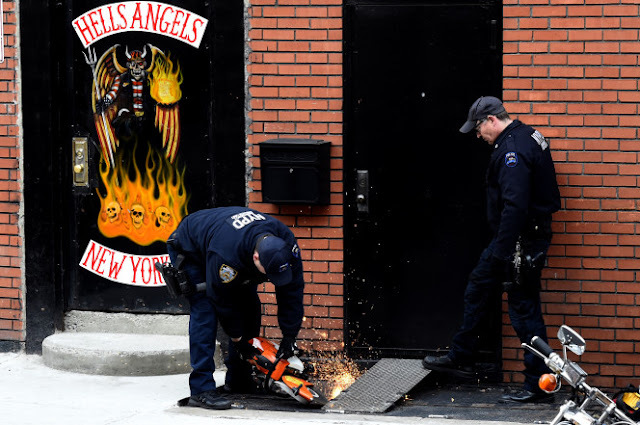 Unlike the Outlaws, Hells Angels members are Internet-savvy, with the group’s local Facebook page accumulating more than 29,000 “likes” and the club selling T-shirts and other merchandise on its website. 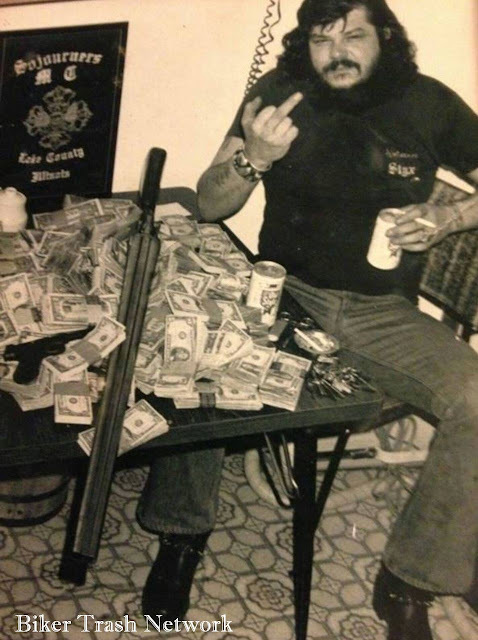 The Hells Angels also have made money by holding parties at its Harvey clubhouse and at bars in the Chicago area, according to James, who says the club welcomes “civilians” and members of smaller biker clubs to their parties. “The Outlaws are losing out on the party money,” he says, along with the chance to market themselves and gain supporters. Chicago-area law enforcement officials periodically have cracked down on both clubs. They say they’ve been preoccupied with other groups in recent years — especially the African-American gang factions behind Chicago’s staggering 50 percent rise in murders this year. It was more than a decade ago when federal authorities charged Melvin Chancey, the former president of the Chicago-area Hells Angels, with racketeering and drug trafficking. The last major Chicago law-enforcement crackdown of the Outlaws was more than five years ago. 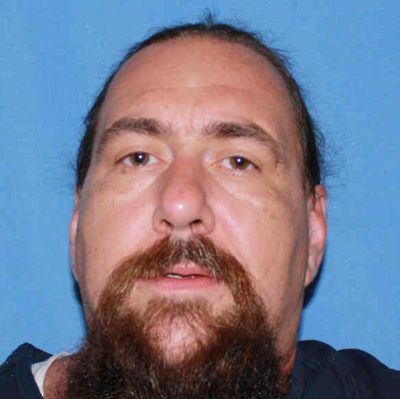 Chicago Outlaws member Mark Polchan was convicted of orchestrating a 2003 bombing outside C & S Coin Operated Amusements, a video-poker business in Berwyn that reputed mob boss Michael “The Large Guy” Sarno wanted to destroy to protect his own gambling interests. The pipe bomb blew out windows and damaged the building. Polchan, who also was accused of fencing stolen jewelry for the mob at his Cicero pawnshop, was sentenced in 2011 to 60 years in federal prison. 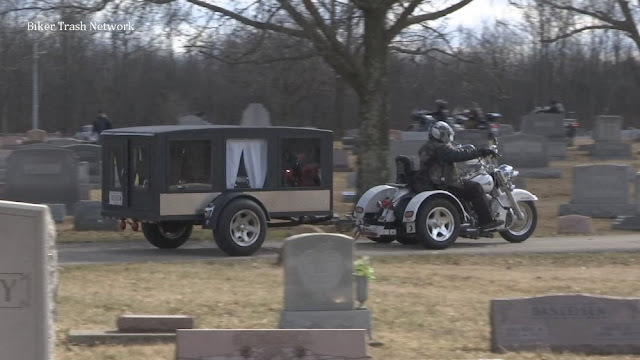 He says he has continued to receive occasional visits from federal agents looking for information on the biker world that he says he’s unwilling to give. “I try to be polite, to a point,” he says. He figures his former club isn’t engaged in criminal activity at the same level as in the old days. Drug dealing, he says, worries graying members who don’t want to face a prison stretch lasting decades. But there have been reports of Outlaws roughing up members of weaker Hispanic biker clubs in the Chicago area since James left. The apparent aim: to force them to ally more closely with the Outlaws, which has long enjoyed a “support system” from other clubs. He says the TV show “Sons of Anarchy,” which aired on FX from 2008 to 2014, popularized but also caused headaches for “1-percenter” biker clubs — so-called for representing the 1 percent of bikers supposedly involved in crime. 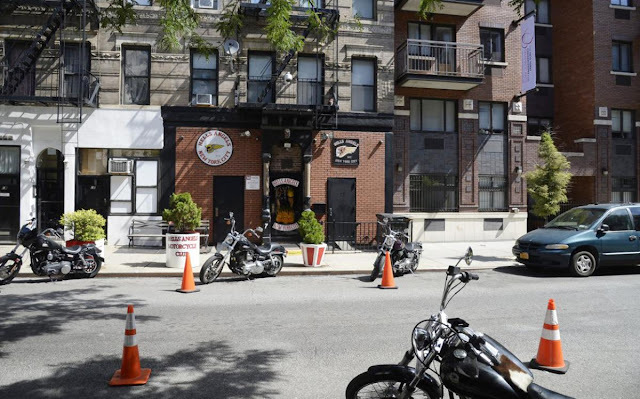 Fans of the show about a criminal biker group in California formed their own clubs and made pilgrimages to the Outlaws clubhouse on Division Street to ask James to “sanction” them. James says he refused to avoid giving the feds a reason to charge him with racketeering. 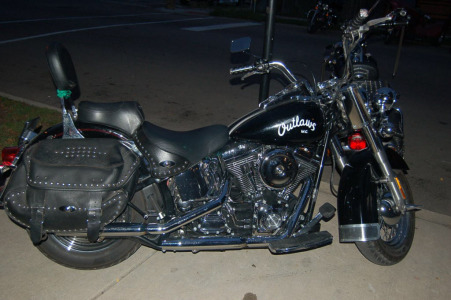 Jay Dobyns got a firsthand look at the 1-percenter lifestyle when he infiltrated the Hells Angels in Arizona as an undercover ATF agent in the early 2000s. Christie and James both have appeared on CNN to offer their expertise on biker life and both wrote books on the subject — James’ memoir is expected to be released next year. James says the main reason he wrote the book was to show how far things have slipped in what he regards as a once-noble brotherhood and to spur change in leadership and attitudes among the Outlaws in Illinois. He says the Outlaws in Chicago have a choice to make as their rival grows and encroaches. James says he won’t be on the front lines if that happens. Last year, he had his “God Forgives, Outlaws Don’t” tattoo covered up with a new design. “I’m borderline ashamed already to say I was once one,” he says.